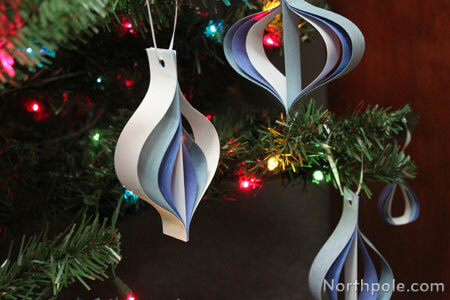 What better way to get in the Christmas spirit than by making ornaments? 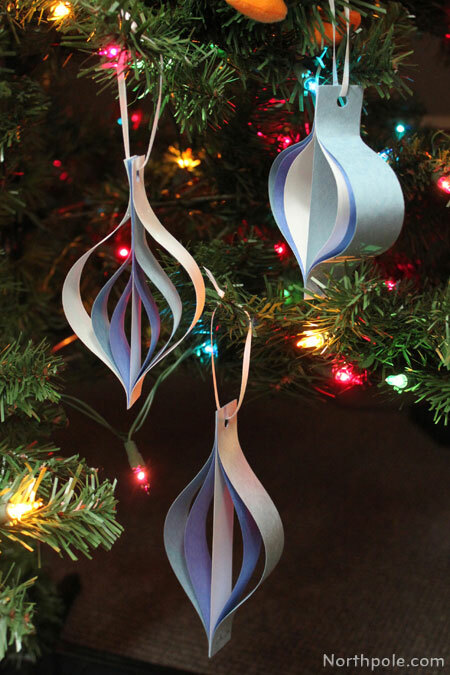 These paper ornaments are quick and easy, so put on some Christmas tunes and get to crafting. And for even more fun, decorate these ornaments using glitter, stickers, or any other embellishments! 1 white – 1" x 6"
2 blue – 1" x 6.25"
2 light blue – 1" x 6.75"
Line them up on one [short] edge. 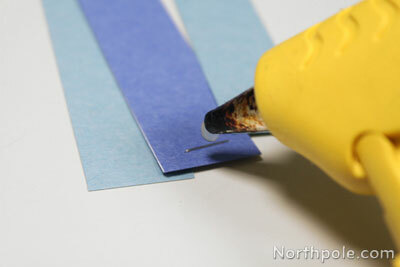 Then glue C pieces in place with just a dot of hot glue at the end. Line up the other end of the paper strips. 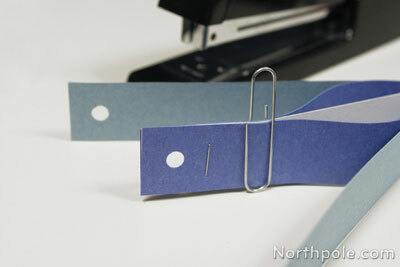 Use a paper clip to hold together. 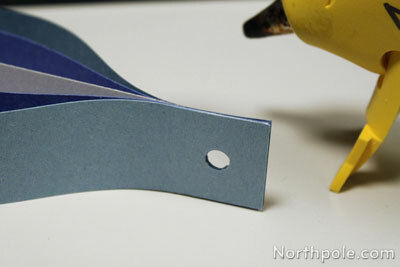 Punch a hole near the top edge (about 0.25" away from the edge of paper). Glue C pieces in place just at the end. Cut a strand of ribbon that is about 7" long. 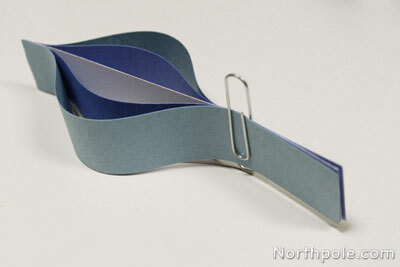 Loop the ribbon through the hole and tie a knot. 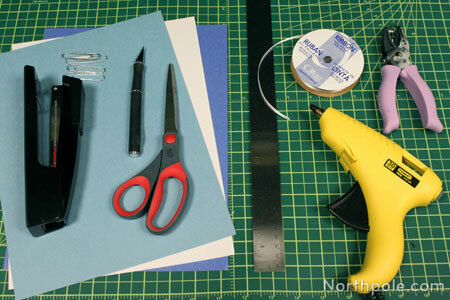 1 light blue – 1" x 5"
2 white – 1" x 6"
Staple pieces C-B-A-B-C together. Then glue D pieces in place. 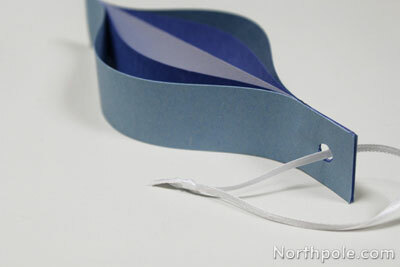 Cut a strand of ribbon that is about 7". 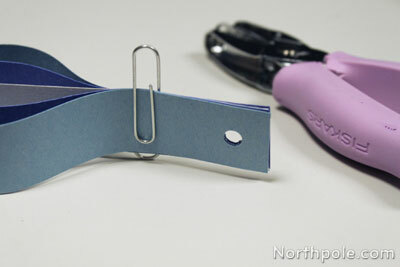 Loop the ribbon through the hole and tie a knot. 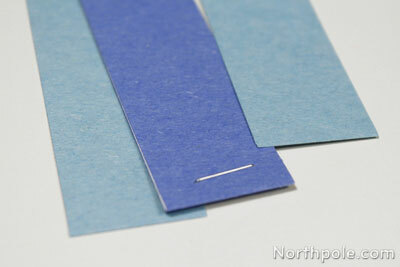 2 light blue—1" x 5.5"
Follow steps 3–8 as above in Variation 1.